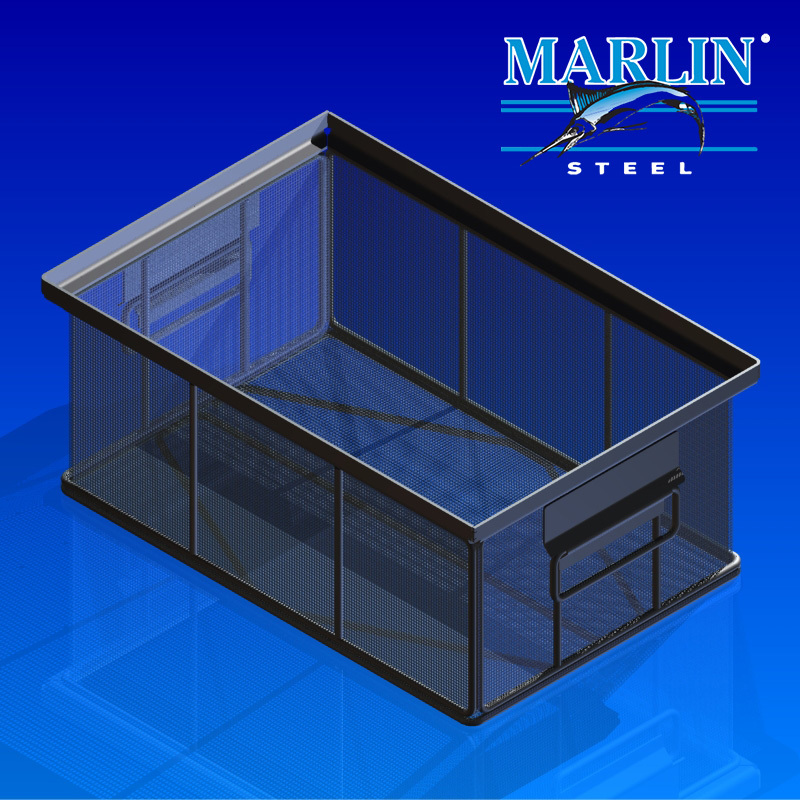 Marlin Steel's Wire Basket with Handles 2076001 has been used in washing systems to haul parts ready for cleaning by major companies in the manufacturing industries. It can easily fit in your wash chambers because these baskets are custom made to order. The maximum weight this particular manufacturing company needed the basket to hold was 35 lbs., although we can customize it for your specific weight that it's being used for. They also chose a 304 stainless steel material, although it can also be made with 316 and 330 stainless steel and plain stainless steel. This wire basket can be easily used in conveyor processes. Removable dividers can also be added to the design. These dividers make it easy to use the basket for multiple applications. It's also features a stackable design with a lid, which can save room on your manufacturing floor. The major manufacturer that bought this product used it in their wash process. Made from 304 stainless steel, it resisted corrosion an damage from the chemical used in their wash cycle, which was modified alcohol with 100% concentration. It's perfect for this process because it features a mesh material which adds for easy transport of washing fluids. It was exposed to this harsh chemical anywhere from 8-12 minutes with temperatures reaching up to 165 F.